Home/Uncategorized/Bleeding Gums- why does this happen? 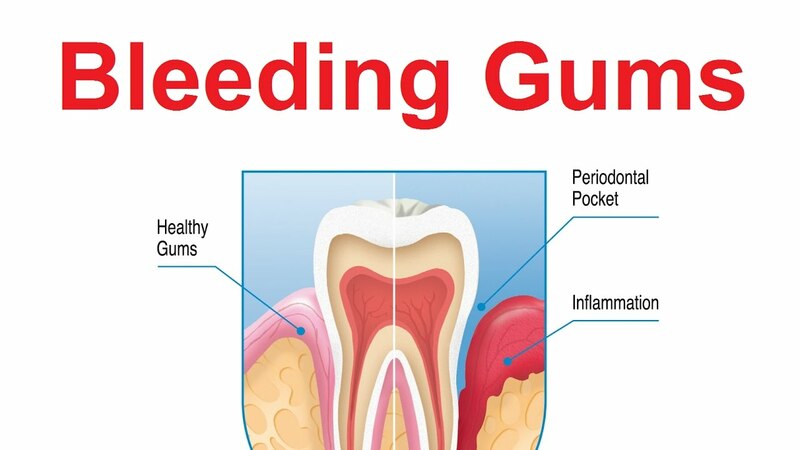 In some cases, bleeding gums can be a sign of gingivitis, the early stage of periodontal disease. If your gums bleed easily or bleed when you brush, talk to your dentist about your oral health. Gingivitis is reversible and preventable. If you’ve just started a new flossing routine, for instance, your gums may bleed at first as they get used to cleaning between the teeth. This usually goes away on its own in about a week. Some pregnant women develop a condition known as “pregnancy gingivitis,” an inflammation of the gums that can cause swelling and tenderness. Gums also may bleed a little when brushing or flossing. If you take blood thinners, these medications may cause your gums to bleed. Contact your physician if the bleeding does not stop quickly. Your gums could also be bleeding if you brush too hard. Use an extra-soft or soft-bristled toothbrush when brushing your teeth. If your gums bleed regularly or enough to worry you, make an appointment with your dentist or physician. It could be a sign that something else is wrong. Always remember to brush your teeth twice a day, floss once a day and schedule regular dental visits.